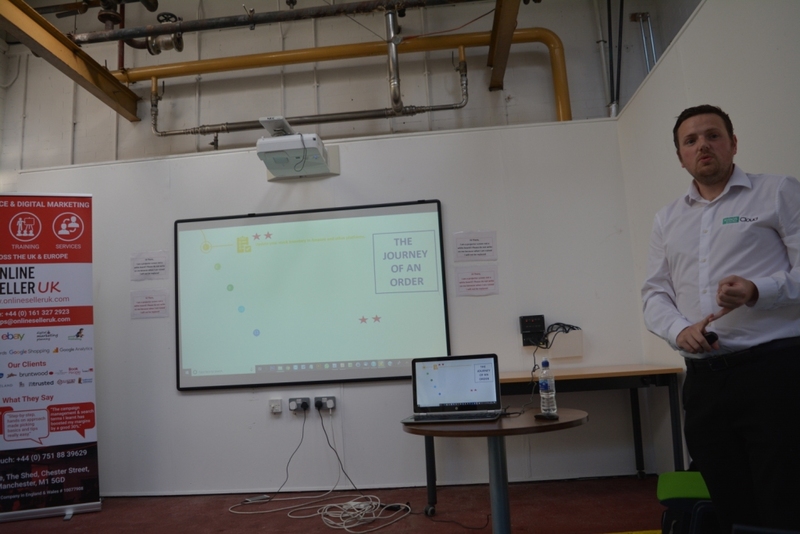 We held our latest online seller meetup in Manchester with guest speakers from Streetpricer, eBay repricing tool, Jason at Khaos control cloud, ERP tool. Cardy at Streetpricer spoke with us remotely about how to be competitive on eBay. With the rife competition on eBay, repricing is proving successful to many sellers to bring in successful sales. With the recent changes to Amazon-style “group similar” listings, repricing will become normal to win eBay’s top pick (Amazon’s buy box). Jason from Khaos control cloud shared his story of selling on eBay and showed us how he saved time using his own system to process the orders. An ERP solution is there to save you time and money and build a seamless e-commerce system where each process of selling online is integrated from a product listing, processing orders, customer support to accounting. Prabhat rounded up the evening with his talk on Amazon SEO. Covering several factors including keywords, FBA, pricing, conversion, dispatch time, and how to rank your products on Amazon search. Alongside SEO, Prabhat discussed how using Amazon paid ads to promote your product could see your sales increase by 20-30%.